Even something as natural as hay has a history. Early farmers noticed that growing fields, produced more in the spring than the animals could consume, and that cutting the grass in the summer, allowing it to dry and storing it for the winter provided their animals with better quality nutrition than simply allowing them to dig through snow in the winter to find dried grass. 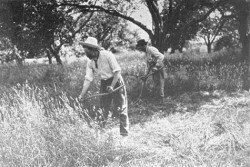 The scythe was used by teams of men to cut hay. The hay was left to dry in the fields and then collected in wagons. 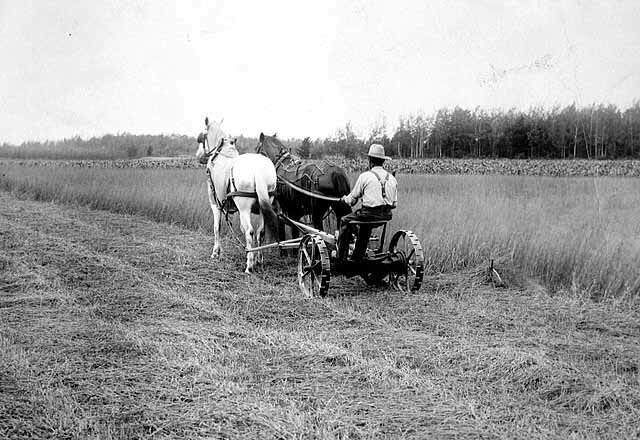 When hay needed to be turned, it was originally done by hand with a fork or rake. Pitch forks were then used to pile it loosely onto horse-drawn carts or wagons. Some farms stored their hay in a shed or a barn in such a way that it would compress down and cure. 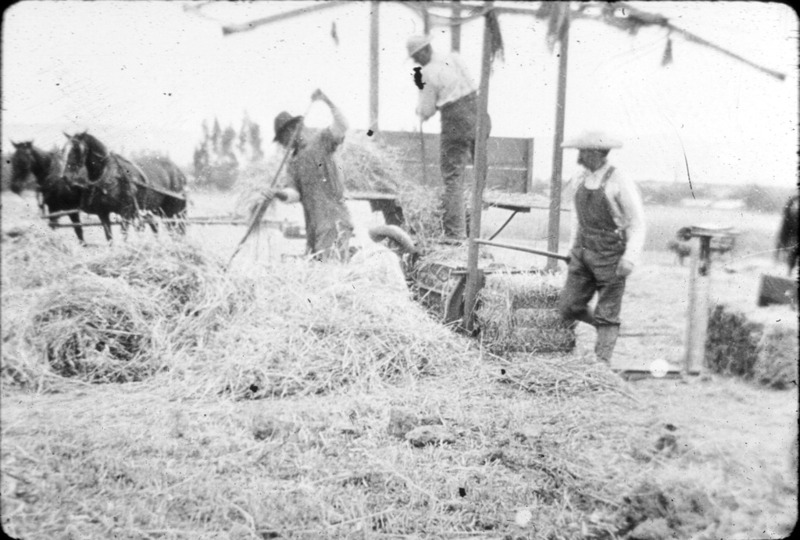 Today's hay farmers still get to enjoy the hands-on process of creating quality hay as well as working in the fresh outdoors, but with the invention of the tractor and the baler, by the 1930's most of the hay production was mechanized.